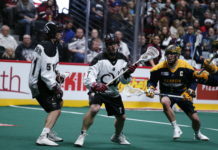 Unpredictablity was the theme on Tuesday in Philadelphia during the 2018 NLL draft, which came to benefit the Colorado Mammoth who landed beefy bodies and natural scoring in the draft. Making their first selection of the night in the second round (22nd overall), the Mammoth selected right-handed forward Kyle Killen. Killen, a product of RIT, is a former teammate of the Mammoth’s first pick in the 2017 NLL Entry Draft, Ryan Lee. Killen is a high-energy forward who isn’t afraid to wing the ball around, but also hang in the middle when he can. Mammoth Head Coach Pat Coyle had Killen high up on the board and was pleasantly surprised when things broke way for Colorado to select the scoring forward. Killen played in all 22 games, setting an RIT single-season record with 86 goals, tallying a single-season record 21 man-up goals which led the RIT, Liberty League and Division III in goals. He stands as fifth in NCAA Division III, averaging 3.91 goals per game, just one of just four Tigers to reach 100 points in a season. Killen scored seven goals and nine points in two Liberty League Tournament games, earning Liberty League Tournament MVP honors, scoring 16 goals and 21 points in four NCAA Tournament games. After making his RIT debut and tallying three points in a win at No. 13 Ohio Wesleyan University, Killen scored at least a goal in 14 straight games. Killen also brings a clutch factor with him. Scoring a combined five points on three goals and two assists in the Liberty League Tournament, Killen also tallied nine goals and 14 points in five NCAA Tournament contests in 2017. His postseason success continued when Killen notched a season-high five points on three goals and two assists versus Stevenson University in the third round of NCAA Tournament and tallied three goals and added an assist versus Wesleyan University in the NCAA Semifinal. Killed finished his two-year career at RIT with 118 goals in 45 games played, that is a career mark tied for 19th all-time in scoring with 158 points and 10th all-time with 23 career man-up goals and 13th all-time with 118 career goals. 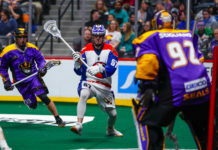 That scoring will be welcomed greatly by the Mammoth, who ranked in the bottom half of the NLL in goal scoring in 2018. “Looking at our team last year, that was one thing we felt we really needed to address was goal scoring, and we got a goal scorer,” Coyle continued on Killen. It wasn’t the only scorer the Mammoth picked up however as eight selections later. 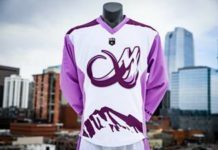 Colorado targeted a familiar face to Coyle in 2018 Canadian Junior A Box Lacrosse Champion in Dennon Armstrong with the 30th pick overall. A player Coyle coached at the Coquitlam Adanacs. “I’m super excited to get to play for such a well-known team and for my head coach, Pat, who has coached me my whole life and made me the player I am today,” Armstrong said with excitement. 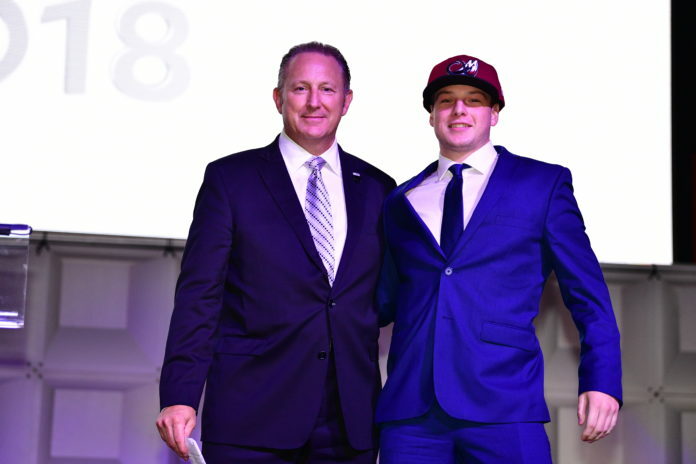 Players on the Mammoth took to Twitter to congratulate the newly drafted players including Joey Cupido, who welcomed the draftees and called it a ‘huge night’ for the Mammoth. Huge night for @MammothLax congrats and welcome to all the new additions! Can't wait to see you all at camp! The Mammoth continued to address holes as the draft went on, utilizing their second pick in the third round (35th overall), the Mammoth went defense by selecting Julian Garritano, a left-handed defensemen out of Sacred Heart University and the Brooklin Redmen. “I’m willing to do whatever it takes to win,” said Garritano. In the fourth round, the Mammoth selected a player willing to do whatever it takes to where burgundy and black. Colorado drafted former Brock University righty defenseman, Dylan Laprade, as the 48th pick overall. “All I want is opportunity,” said Laprade, who has already begun preparing for preseason by watching hours of Mammoth game film. The Mammoth’s final selection of the night was also their biggest-bodied selection of the night, coming in at 6’3″, 210 lbs. In the sixth round, as the 72nd pick overall, the Mammoth selected righty forward Steven Lee, who has played three seasons with the Burlington Chiefs in the Ontario Junior A Lacrosse Lacrosse League. While the off season progresses, the players will surely have their opportunities to make an impact on the team before Colorado opens the season at home against Calgary on December 1st.